Have you entered the Silver Nugget Awards? The sixth annual Silver Nugget Awards will be held June 22 at the Red Rock Resort, 11011 W. Charleston Blvd. from 6 to 9 p.m. Cocktail hour is 6-7 p.m. Dinner and awards is from 7-9 p.m.
Last year, the homebuilding awards show drew more than 400 professionals in the field. 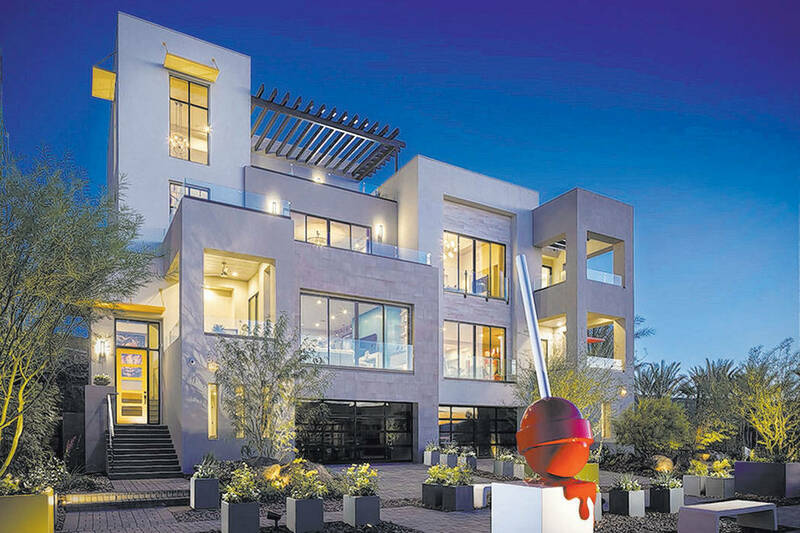 The Las Vegas Review-Journal publishes a special tabloid in the main paper to announce the winners and highlight the Home of the Year and other notable awards. For the first time in the show’s history, the 2018 Home of the Year was a town home project, Christopher Homes’ Vu in MacDonald Highlands. The competition entries are judged by a panel of third-party experts. The Silver Nugget Awards are sponsored by the Southern Nevada Home Builders Association and the Las Vegas Review-Journal. This year there are 55 categories to enter. Cost is $100 for each entry. Deadline for entries and fees is Feb. 15. Final deadline for submissions is March 15. To enter, visit silvernugget.secure-platform.com. To attend the event, contact real estate coordinator Linda Farman at 702-383-4668 or lfarman@reviewjournal.com. A table of 10 is priced at at $1,250. Individual seats are priced at $125. Sponsorships opportunities are still avilable for the event. Contact real estate sales representatives Claire Dejesus at 702-383-0346, cdejesus@reviewjournal.com; and Arvi San Juan at 702-383-0488, asanjuan@reviewjournal.com.